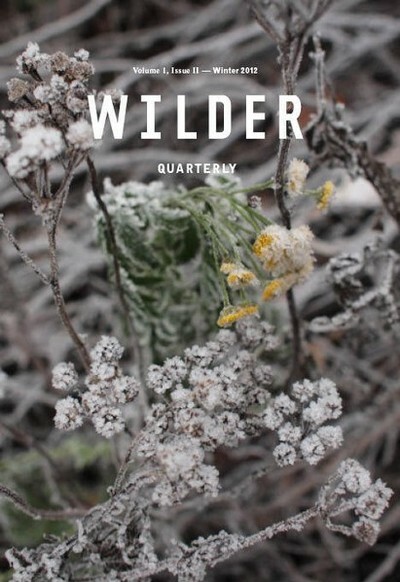 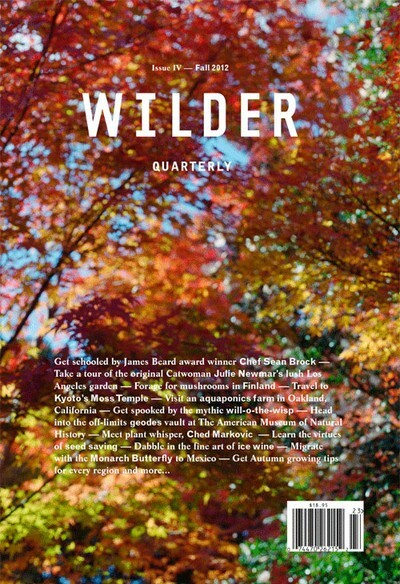 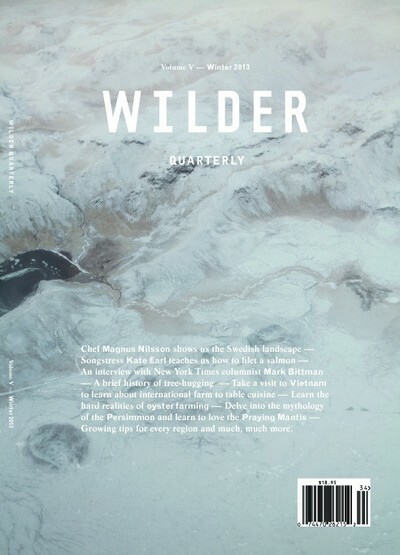 Wilder Quarterly is a publication for people enthralled by the natural world. 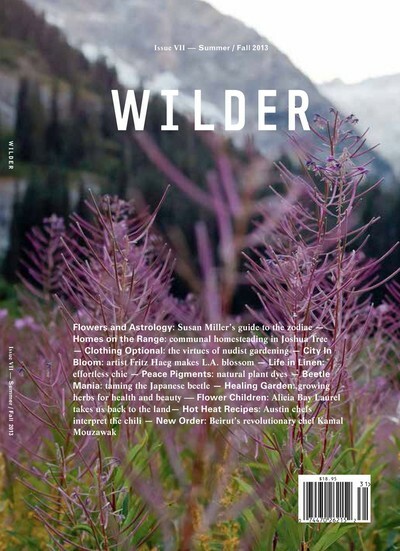 In our pages you’ll find green thumbs, rooftop gardeners, foodies and chefs, seed savers, architects, hobby farmers, horticulturalists, innovators, amateurs, and experts. 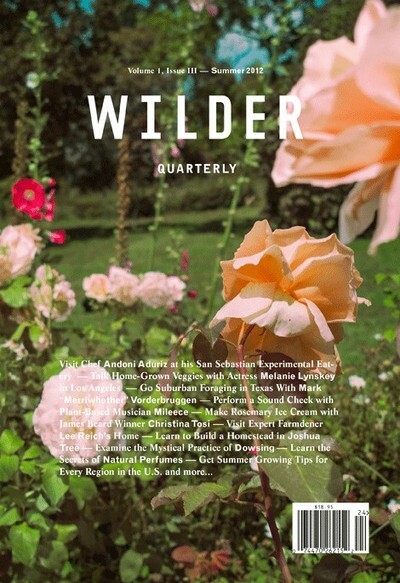 Just your everyday mix of growing enthusiasts. 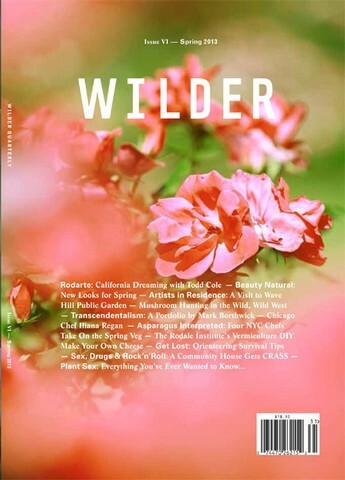 Wilder is ‘life through the lens of the growing world’— indoors and out, culture, travel, food and design. 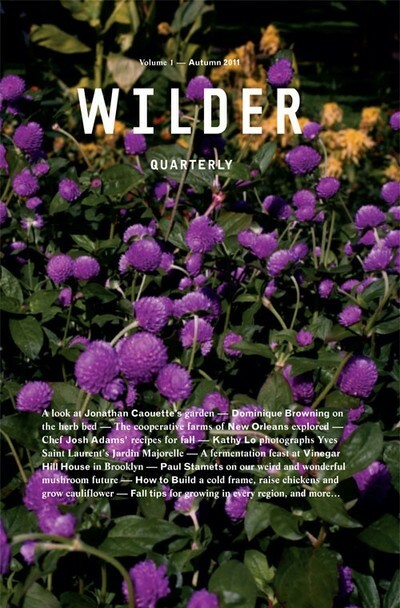 Published seasonally for this generation of growers and the next.